The 3R is a 2'fer. The Bell Super 3R MIPS helmet picks up where the Super 2R left off, dramatically improving comfort by using new molds to make a full face & half-shell helmet combination that truly makes no compromise. As before, the Super 3R features a removable chin-bar that provides full-face protection for long descents and maximum comfort when ascending with the chin-bar removed. The system is simple and secure using ski-boot style closures that allow the attachment to be easily fitted without taking off the helmet. Incorporation of the MIPS multi-directional impact protection system means your head is wrapped in a state-of-the-art safety mechanism that helps reduce rotational forces on your brain during collisions. There are 23 vents on the main shell and 4 Overbrow Ventilation™ channels that permit airflow over the top of the head for maximum cooling and to help keep your goggles from fogging up. An adjustable visor works in conjunction with GoggleGuide™ construction so that you can store goggles and sunglasses on top of the helmet when they're not in use. Up top, a breakaway camera mount lets you set the perfect angle while permitting the mount to safely detach from the helmet in case of a crash. The fit can be finely tuned to your head shape with Bell's lightweight Float Fit® System featuring X-Static padded lining. Available in multiple colors. Claimed weight is 784 grams. Like many, I bought a Super 2R MIPS helmet because I wanted the option of running a chin bar for more gravity oriented riding. My head shape is oval-ish and I fall on the bigger side of Bell's Medium sizing. Because of the well known pressure pointshot spots with the Super 2R in Medium, I had to replace it with a Large, which solved the pressure point problem but was otherwise too big for my head. The only downsides of this helmet are its relative weight and ventilation. Without the chin bar, the Super3R weighs a good 100g more than a POC Tectal Race (which does not have MIPS). Even though the Super3R has plenty of vents and internal air channels, the MIPS liner effectively blocks the air from flowing over your head. 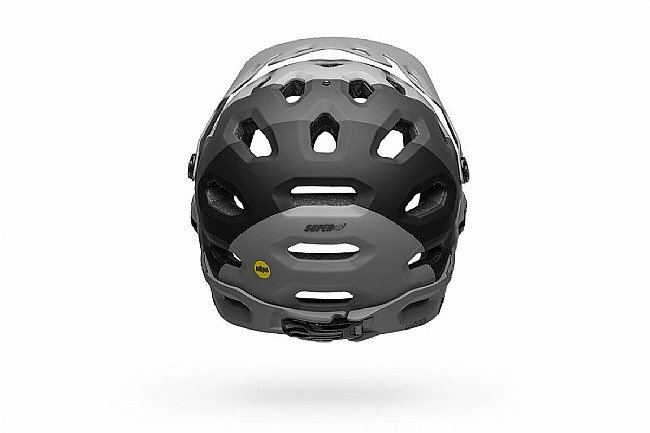 Overall, I'd say this helmet is an excellent choice for all mountain riding and would recommend it to anyone looking for a single helmet to handle their MTB needs. Great helmet. Love the ability to remove the chin bar. I use this helmet in both downhill and trail riding. The removable chin bar is great so I didn't have to buy 2 helmets. Use this when mountain biking and gravel. 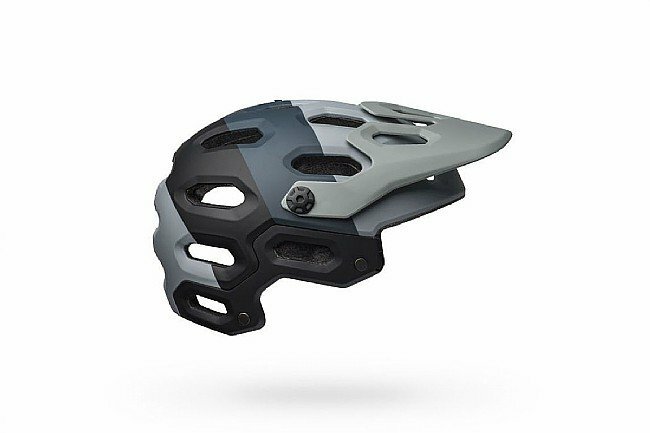 Like the ability to remove the chin guard while climbing, or when gravel grinding the entire ride. But have the additional safety of protecting my face on the downhills. Great helmet for a great price! This helmet fits great. I had to remove the extra padding in the chin bar to fit my skull. The only issue I have with it is that the bite valve from my Osprey hydration system doesn't fit too well underneath it. May need to rethink my bite valve. After watching my 6 year old son take a horrific fall in the local pump track we upgraded to full face helmets for the entire family. I've also had nagging jaw alignment issues after a spill years ago and decided it's worth having a little extra protection. This helmet converts quickly so I ride uphill without the face mask and strap it on for the descents. I mostly ride single track trails in the Truckee/Tahoe/Reno area. It wouldn't be my first choice for the Northstar Downhill Park but for anything you pedal up this helmet's ideal. 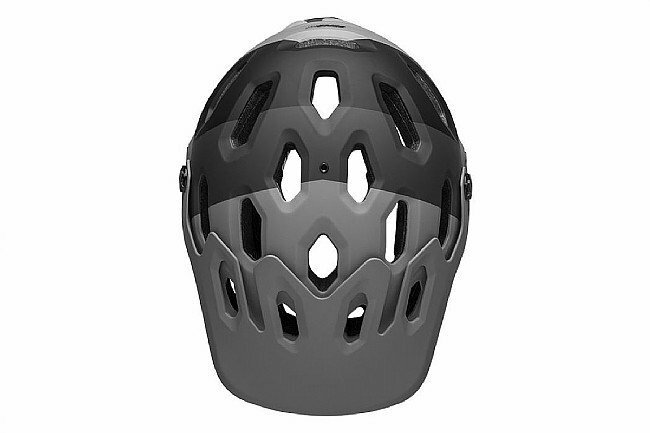 Fit snug on my head even without the strap cannot shake it off the mips system is worth the money and like I said Best of Both Worlds downhill won't bust your teeth out cross country lose the chin guard.